Initialization, send SMS ( begin123456 ) to the unit, it replies OK, then you initialize all the settings to default factory settings. Change password, make sure the new password is in 6 digits arabic numbers. Authorization, there are 4 numbers to be allowed to authorize in the tracker at most, you just need send SMS in the format specified to the device. Single locating, if there is no authorized number, any number dials up the device number, it will report tracking message. Dialing and SMS tracking, make a call or send SMS to the device number, it will hang up and reply a real-time tracking message. Continuous tracking automatically, send specified format message, it will report real-time tracking message. Alarms, it sets with GEO-fence alarm, ACC working alarm. It can cut off and resume the oil and power system of your vehicle by send specified format SMS to the device. You can set up arm by the SMS and the remote controller, you can disarm through the same way too. It has 3 modes to switch, the tracker, the monitor listening, and the dial mode. 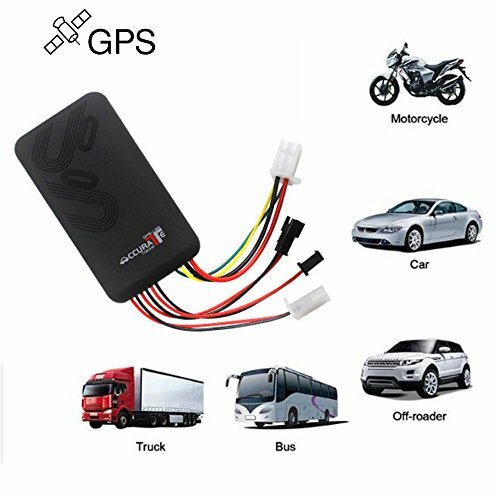 With it, you can check the vehicle state, IMEI, and reset SMS, set time zone, GPRS, APN, IP and port, and reset the device. OPERATION: - Initialization, send SMS (#begin#123456#) to the unit, it replies OK, then you initialize all the settings to default factory settings. - Change password, make sure the new password is in 6 digits arabic numbers. - Authorization, there are 4 numbers to be allowed to authorize in the tracker at most, you just need send SMS in the format specified to the device. If you have any questions about this product by YangtongLK, contact us by completing and submitting the form below. If you are looking for a specif part number, please include it with your message.